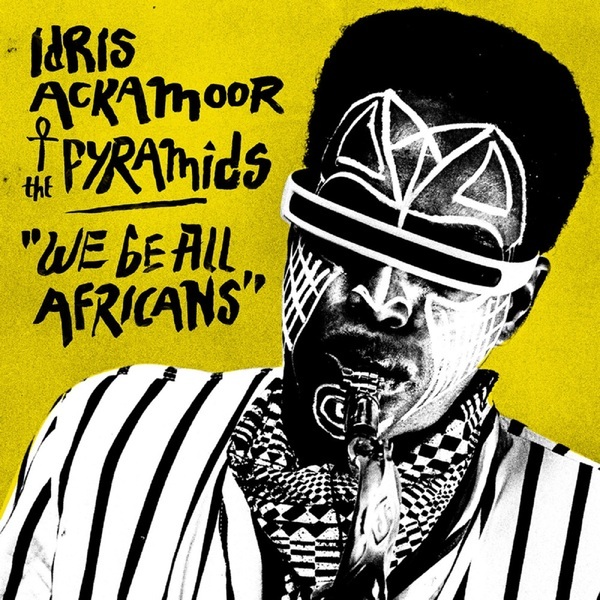 New studio album from West coast intergalactic jazz mavericks, The Pyramids, led by their inspirational bandleader, Idris Ackamoor. "Alto saxophonist Ackamoor first founded The Pyramids alongside fellow students Margo Simmons (flute) and Kimathi Asante (electric bass) in the summer of 1972. The three were students together at Antioch College, Yellow Springs, Ohio where one of their teachers was renowned pianist, Cecil Taylor. 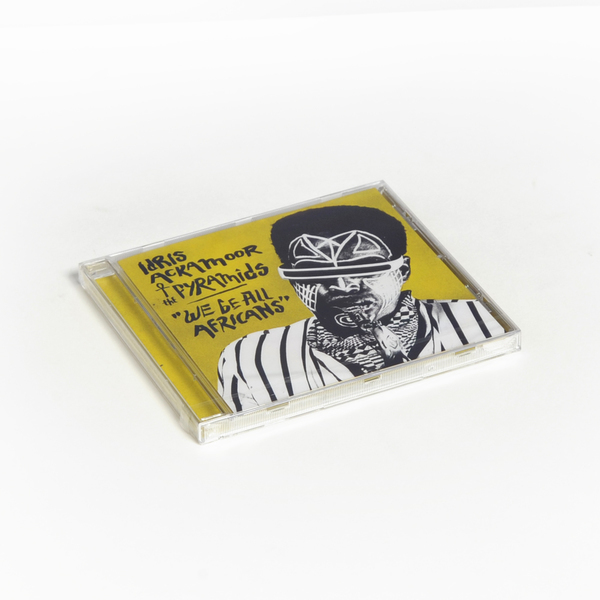 After founding the band in Paris, performing in Holland and embarking on a “cultural odyssey” across Africa, the group recorded three independent albums (‘Lalibela’ in 1973, ‘King Of Kings’ in 1974 and ‘Birth / Speed / Merging’ in 1976) and became renowned for their striking live shows, mixing percussive, spiritual and space-age jazz with performance, theatre, and dance. After migrating to San Francisco to perform on the Bay Area arts scene, they disbanded in 1977 after a final show at the UC Berkeley Jazz Festival. 30 years later The Pyramids reunited unexpectedly in 2007 following growing demand for their music from vinyl collectors and jazz fans and embarked on the first of many European tours beginning in 2010 featuring original members, as well as a fresh line-up including renowned percussionist Kenneth Nash. In 2012 the group signed to German label Disko B who released a new album, the freeform ‘Otherworldly’ and all three albums from their rare back catalogue. Idris was promptly presented with a Lifetime Achievement Award by DJ Gilles Peterson at his Worldwide Awards and The Pyramids were back, gaining a whole new legion of fans. 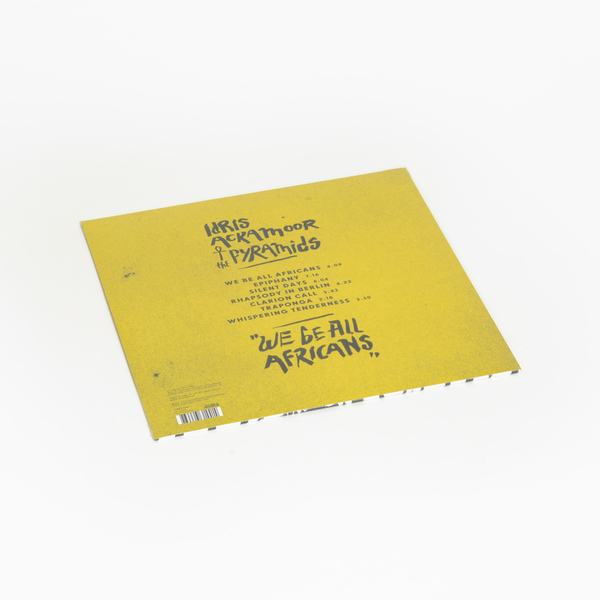 For their new album, ‘We Be All Africans’, the group traveled to Berlin to hunker down in Max Weissenfeldt’s analogue Philophon studio. 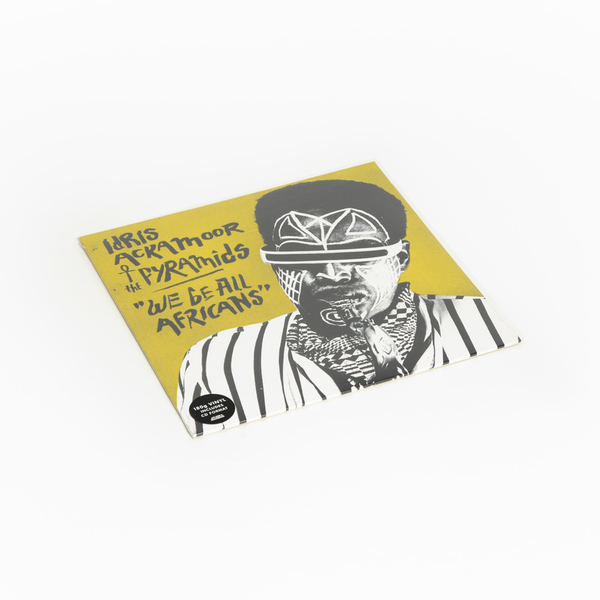 The result is a sparkling set of Afro- jazz-funk fusions, from the infectious chants of the title track to the reflective ‘Epiphany’ and the yearning, mournful future single, ‘Silent Days’ featuring the brilliant vocals of Bajka. 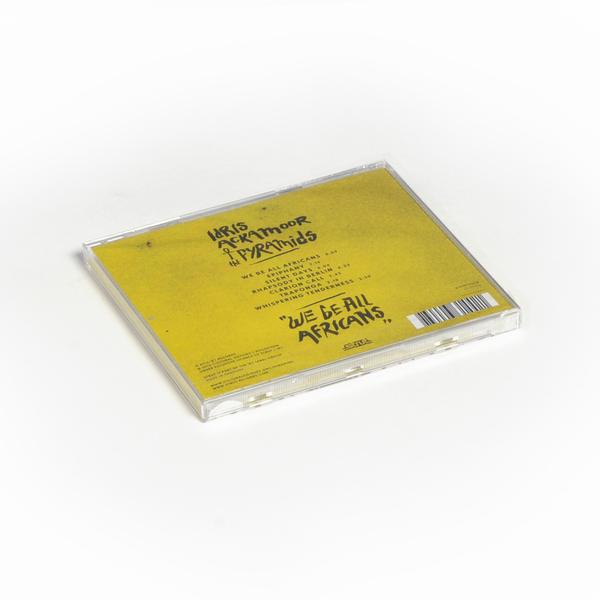 Weissenfeldt released the first fruits from the sessions, ‘Rhapsody In Berlin’ as a limited 45 during 2015. The album features the full unedited version."